Instantly create a commercial-quality outdoor kitchen with the 36" Outdoor Gas Grill with Base from Twin Eagles Grills and Family Leisure! 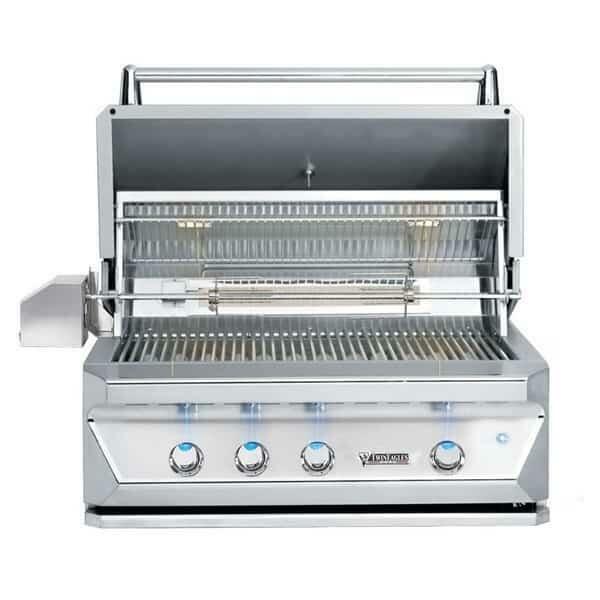 This mobile unit offers several standard features that will leave any visiting professional chef or grill master envious. Features such as the hexagonal cooking grates, which produce restaurant-style sear marks on steaks and burgers, and much more (see full list of standard features below). 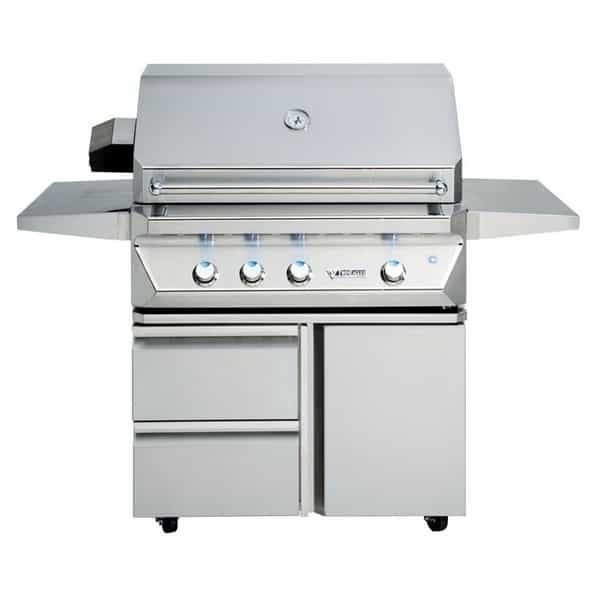 The grill head loaded into this model offers incredible cooking power, with two stainless steel U-burners producing a combined 50,000 BTUs. 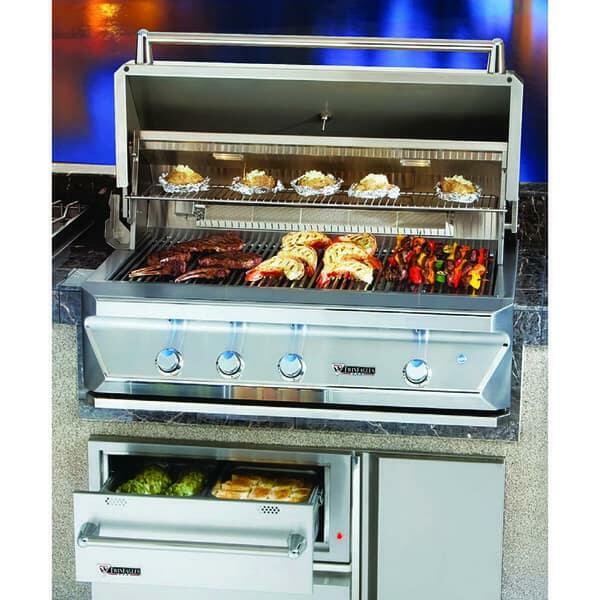 Grill heaps of hamburgers, hot dogs and other foods over a cooking surface that offers 630 square inches! Twin Eagles uses a mix of traditional direct heat from gas flames with radiant heat from ceramic briquettes. This allows the 36" Outdoor Gas Grill and Base to quickly reach desired temperatures while distributing heat throughout the hood. The grill master of the family will be able to preheat the grill faster, while the grill itself will perform perfectly, with virtually no flares and hot spots. 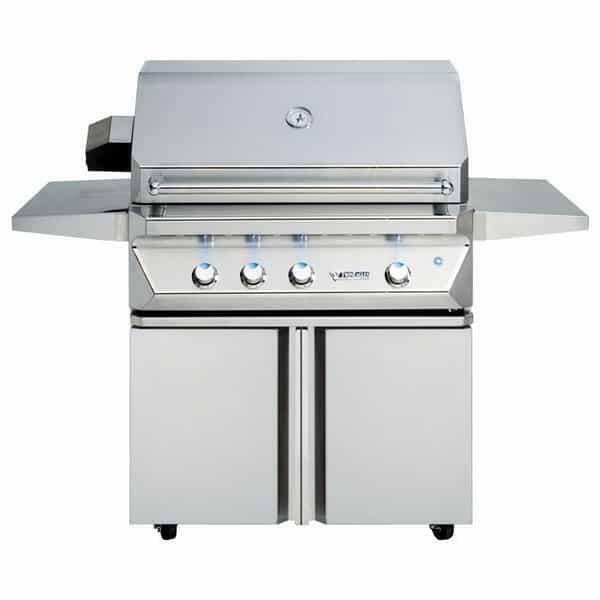 And be sure to view in the drop down menus to the right of the main image all of the base configurations and grill upgrades available with this model, which comes with free shipping nationwide from Family Leisure! Grilling Area 630 sq. in.